Your professional services automation solution (PSA) is only as good as the information you can get out of it. 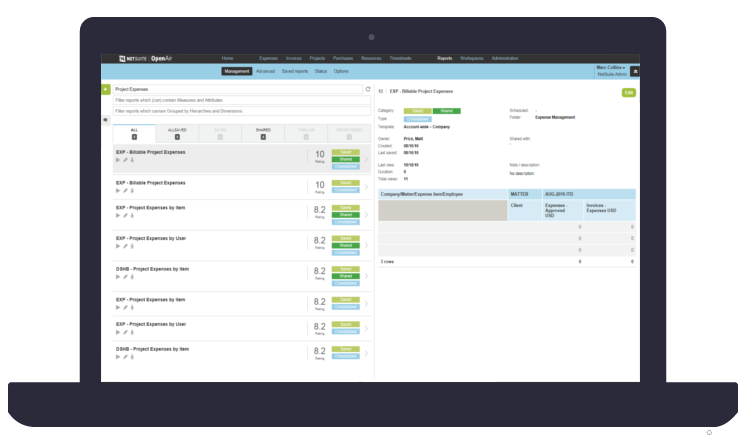 With this in mind, NetSuite OpenAir provides robust reporting and analytical tools that are integrated across all modules to deliver on-demand, real-time data. Display the key performance indicators (KPIs) that mean the most to you as soon as you log into the application. 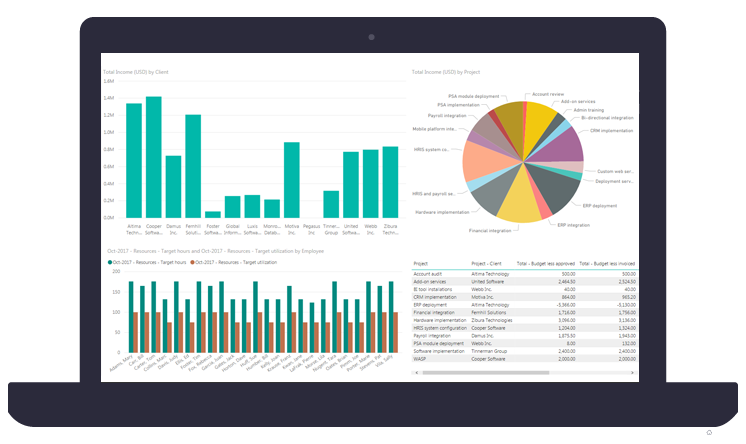 OpenAir dashboards enable you to analyze metrics such as resource utilization, profit margin, and project budget vs. actual in easy to read graphs. 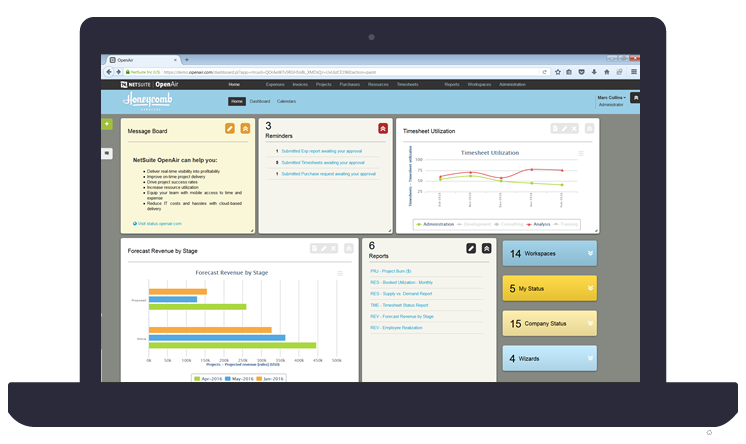 Better yet, KPIs and dashboards are easily configured to each individual user's needs, giving everyone instant access to the information that matters. OpenAir's newest reporting sets the bar on convenience, ease of use and flexibility. Built from the ground up, we reimagined how reporting should be done and designed an entirely new experience so the team member can create the report they need quickly and easily, while at the same time supporting the more sophisticated needs of the power user, offering unprecedented controls to build powerful reports that meet your business needs, all though simple drag-and-drop controls. OpenAir's new Guidance capability takes the guesswork out of finding that elusive report you ran last quarter or last year. By entering simple search criteria, OpenAir does a quick analysis of your report usage behavior and recommends the exact report you need. No more fumbling through hundreds of saved reports and wasting time on hits-and-misses. Find the exact report you need. Instantly. Ever need to make a small tweak to a report and find you're practically rebuilding it from scratch? With OpenAir's new Report Viewer, you can view or export your reports, but also make quick changes to filters and ranges without having to go into an edit mode. Save time and effort to get the exact view you need. For many services organizations, managing by metrics is a key component for their success. OpenAir reporting functionality enables users to schedule, deliver, and download reports to make sure key stake holders are always aware of the current status of every facet of your organization. While many customers use the OpenAir Reporting Suite to manage their reporting needs, many companies have invested in different business intelligent solutions to augment their solutions’ capabilities, or to combine data from different systems to create enterprise-wide reports. The OpenAir Business Intelligence Connector allows you to easily extend your services delivery data. Based on the OData connection point, this connector is supported by many reporting and business intelligence applications. Use it to publish the content of your saved reports so that they can be read by a compatible application. The Connector is a convenient way to access data in reports, including calculated values. 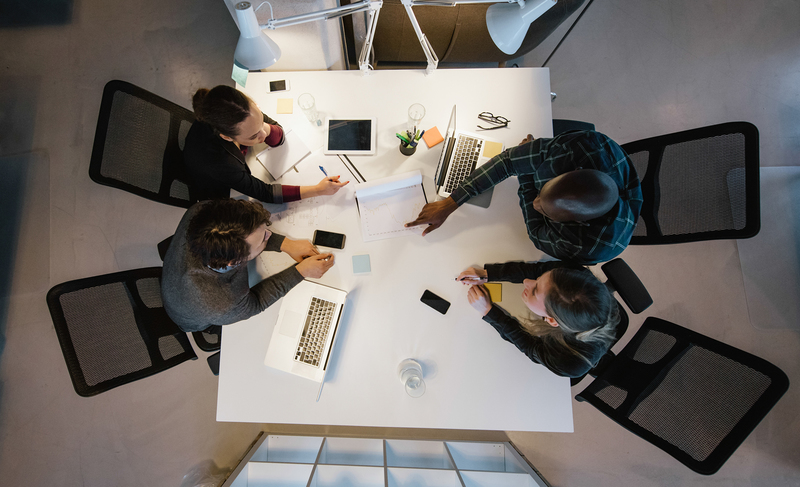 The Business Intelligence Connector follows OpenAir security best practices. It’s accessed using OpenAir security credentials and only the saved reports available through your OpenAir permissions settings are available. Administrators can control who can publish reports using role permissions.